The Rumble on the River really lived up to its name! 11 teams competed in The Arc of the Mid-South's Wheelchair Basketball Tournament on Saturday, March 27. It was an exciting conclusion to March Madness, The Arc's month-long series of events to recognize March as National Disabilities Awareness Month. Congratulations to The Hershey Company’s wheelchair basketball team, The Enforcers, for reclaiming their title as the 2010 Wheelchair Basketball Champions, and for taking home the trophy for the 2nd year in a row. This was a fun event for all to enjoy! For everyone that didn’t attend, you don’t want to miss the excitement next year. The anticipation of who will be crowned the 2011 Champions is already buzzing. Thanks to Terry Hardaway, Jr. for all of the great photographs! More pictures to come! 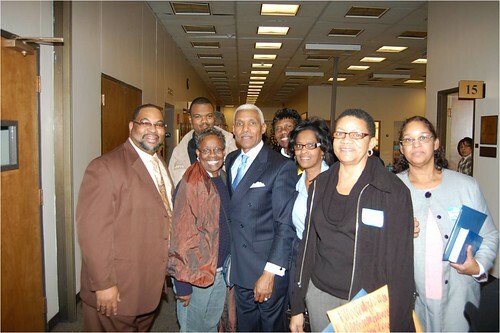 The Arc of the Mid-South hosted its Two Day Job Readiness Workshop last Thursday and Friday at Anointed Temple of Praise. Seven Memphis area high schools attended the workshop, including Westwood High, Grizzlies Academy, Overton High, Kirby High, Oakhaven High, Avon Lenox, and Kingsbury High. The first day of the event covered interview skills, dress for success, goal setting, communication, transitioning to work, and transportation options. The students received raffle tickets at registration and had a chance to win prizes throughout the workshop. The students returned the next day for a career fair, dressed ready for interviewing. Dwaun Warmack, Associate Dean of Students at Rhodes College, kicked off the final day, speaking to the students about taking chances and achieving their goals. The students then had an opportunity to meet with local businesses and schools to ask questions and fill out applications. We had a great time. Thanks to everyone who participated! We received some awesome feedback from teachers and students and hope that everyone walked away with helpful information and some contacts. View more pictures from the workshop on our flickr photostream. 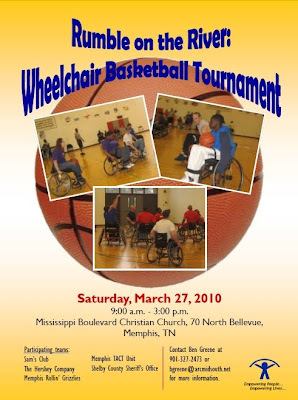 The next event we have coming up is the Wheelchair Basketball Tournament. This promises to be an exciting event and is free and open to the public. Come by Mississippi Boulevard Church at 70 N. Bellevue, Memphis, from 9:00am - 3:00pm and root for your team! Wheelchair basketball tournament coming up soon! Whereas, The Arc of the United States is the nation's leading volunteer-based organization advocating for people with intellectual and developmental disabilities and their families and we all should follow the mission of The Arc of the Mid-South, as they "Empower People with Developmental Disabilities to Achieve Their Full Potential." 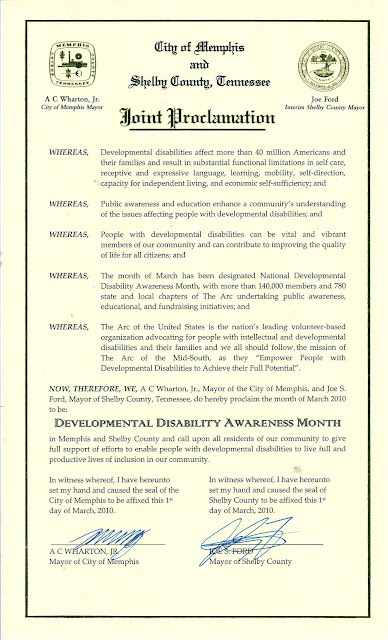 in Memphis and Shelby County and call upon all residents of our community to give full support of efforts to enable people with developmental disabilities to live full and productive lives of inclusion in our community. The Town Hall Meeting scheduled at Church Health Center Wellness for Thursday, March 18, 6:00pm - 8:00pm, has been postponed. We'll keep you posted on any new information. Call us at 901-327-2473 if you have any questions. Last Wednesday, The Arc of the Mid-South joined other disability organizations and self-advocates from west Tennessee for Disability Days on the Hill 2010. Executive Director, Carlene Leaper, along with thirty-eight parents, self-advocates, and staff took a bus to the Capitol in Nashville and had the opportunity to speak with legislators about issues facing the disability community. This year, we focused on the potential budget cuts facing TennCare and cuts in funding for community-based health services provided by DIDS. Each senator and representative that we spoke with was very receptive to what we had to say and offered their support for the disability community when the budget is presented to the House and Senate. 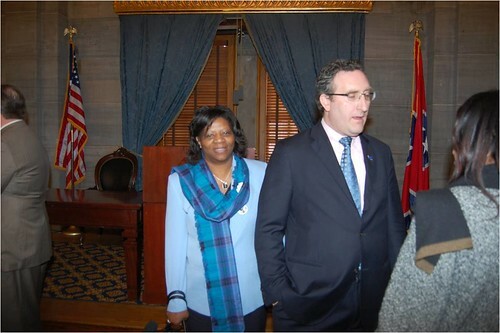 We also had an opportunity to attend a press conference led by Carol Westlake of the Tennessee Disability Coalition and Andy Imparato, president of AAPD, demonstrating solidarity in our concerns for the harmful effects that TennCare cuts will have on people with disabilities. As always, we encourage you to call, email, or write your legislators and let your voice be heard. Visit the Tennessee General Assembly website to find your legislator. Click here for a WSMV-TV video news story on the possible TennCare cuts. Take a stand for individuals with disabilities! 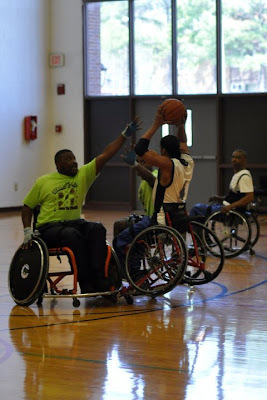 Beginning this week, Friday, March 5th, is the March Madness Kick-off at Church Health Center Wellness (formerly Hope and Healing), 1115 Union Avenue, Memphis, to mark the beginning of National Disability Awareness Month. This event is open to the public and is from 11:00am - 1:00pm. 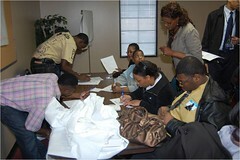 We'll also be having a Job Readiness Workshop for high school juniors and seniors in the Memphis area March 11-March 12. The workshop will cover interviewing skills, goal setting, communication, and much more. The second day of the event will be devoted to a career fair. This event will be at Anointed Temple of Praise from 8:00am - 1:00pm each day. Students must be registered to attend. Thursday, March 18, The Arc of the Mid-South is hosting a Town Hall meeting to educate the community about funding and policy changes within the Division of Intellectual Disability Services. Individuals will also have an opportunity to pose questions to a panel of professionals who are involved in the decision making process or in advocacy efforts. This event is open to the public and will be at Church Health Center Wellness, 1115 Union Avenue, Memphis, from 6:00pm - 8:00pm. 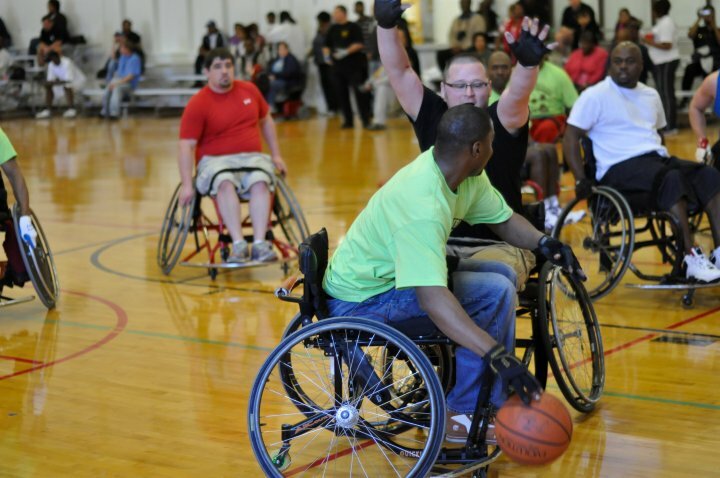 Saturday, March 27, will be our annual wheelchair basketball tournament: Rumble on the River. Each year, teams from local businesses, government, and organizations compete to raise awareness and have fun. The Hershey Company's "Ice Breakers" are the defending champions. The tournament will be held at Mississippi Boulevard Christian Church at 70 N. Bellevue from 9:00am - 3:00pm. This event is free and open to the public! We're excited about these events and look forward to seeing you there!